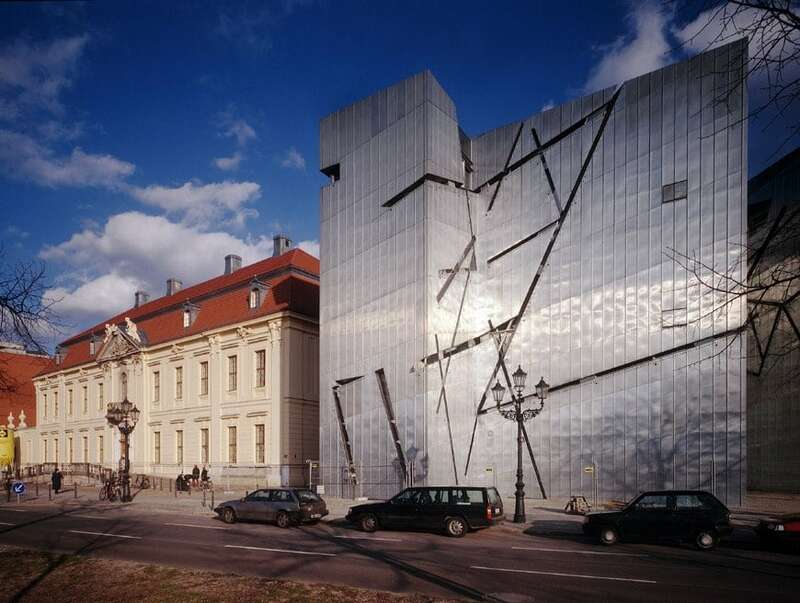 In 1988, when the West Berlin Senate announced a competition for the “Extension of the Berlin Museum with a Jewish Museum Department”, the intention was to expand the old museum that was dedicated to the history of the city, and also create a space for a proper Jewish museum. At that time, Germany was still divided into two nations, and almost no museums in Germany were dedicated to the history of the German Jewish after the forced closure of the Jewish museum in Oranienburger Straße in 1938, other than the small exhibition section already present in the Berlin Museum. 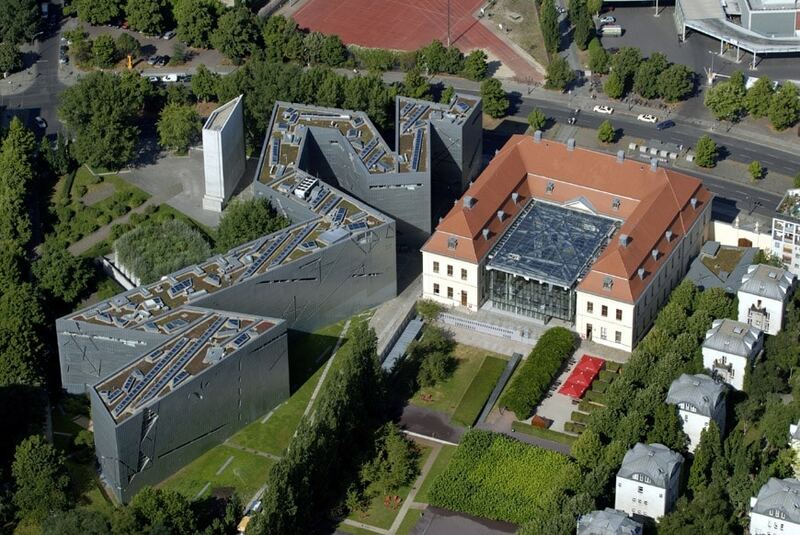 The original idea was to expand the complex with an addition adjacent to the baroque palace of the Kollegienhaus. This addition would conform to the established cautious concept of an “integration” between the Berlin Museum, which would claim two thirds of the space, and the Jewish Museum, which would be allocated about a third of the exhibition floor area. 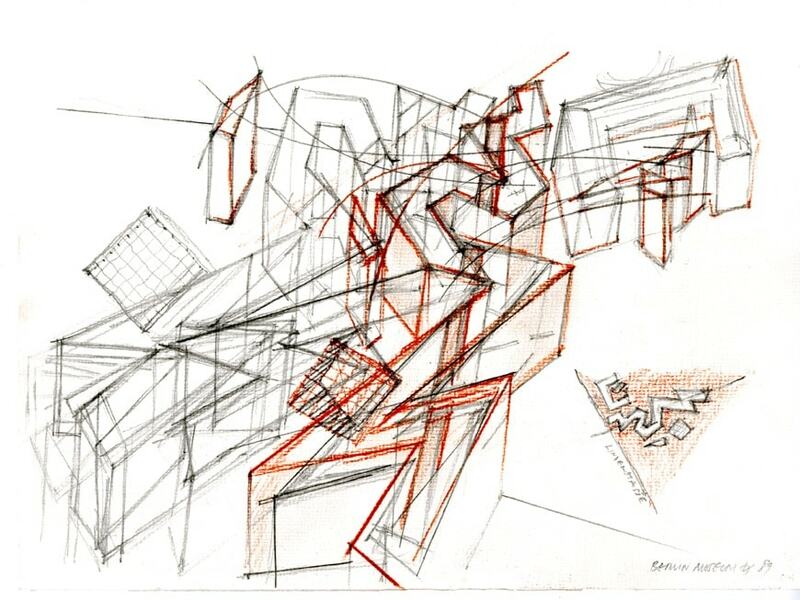 In April 1989, the winning project was selected, a design by Daniel Libeskind. The proposal, quite different from all the other 165 entries, gave rise to a fundamental change of perspective. 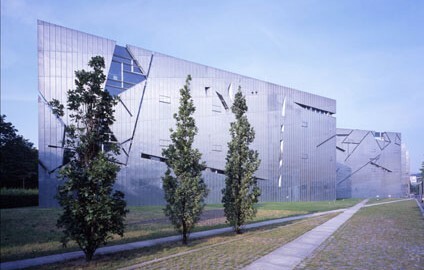 The project by Libeskind, profoundly inspired by Judaism and envisaging a fundamental role for the repercussions of the Holocaust, proved the inadequacy of that “integrative concept” and opened the door to the creation of the current, completely independent, Jewish Museum, dedicated to the 2000-year long history of the Jews in German-speaking countries. 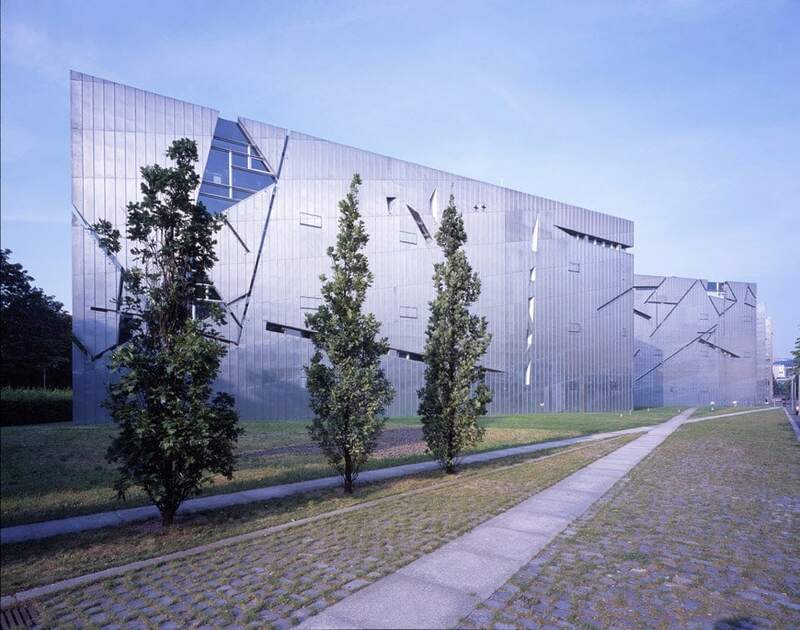 The competition design by Daniel Libeskind was entitled “Between the Lines”; it envisaged, along with a complete renovation of the old Kollegienhaus, a new impressive zigzagging-shaped building. 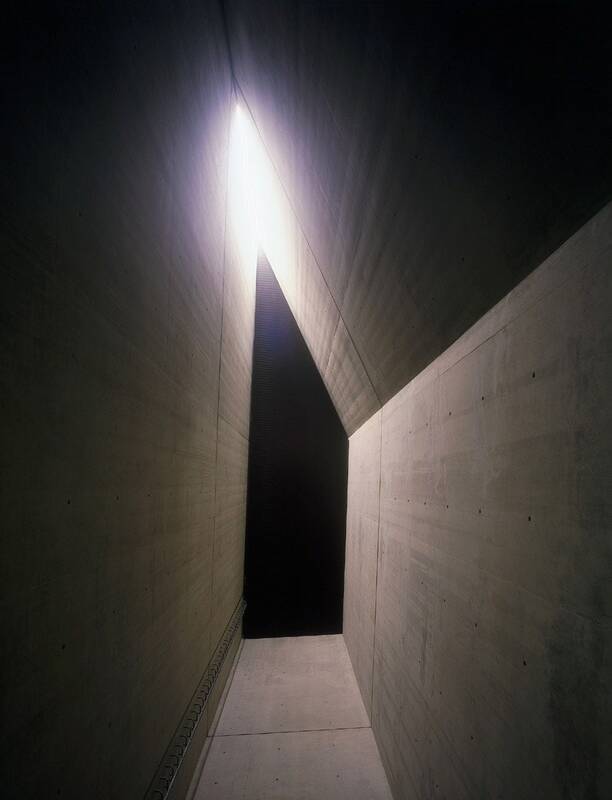 “The new design, which was created a year before the Berlin Wall came down was based on three conceptions that formed the museum’s foundation: first, the impossibility of understanding the history of Berlin without understanding the enormous intellectual, economic and cultural contribution made by the Jewish citizens of Berlin, second, the necessity to integrate physically and spiritually the meaning of the Holocaust into the consciousness and memory of the city of Berlin. Third, that only through the acknowledgment and incorporation of this erasure and void of Jewish life in Berlin, can the history of Berlin and Europe have a human future” (from Daniel Libeskind’s project brief). From the entrance located in the Kollegienhaus, though a large bare-concrete void, visitors descend to an underground basement level; from here a passage connects the old and the new building, which has no other access, making the two constructions appear independent while they are actually deeply interconnected. Three different underground axes, each expressing a specific theme, connect the descending point with different parts of the complex. 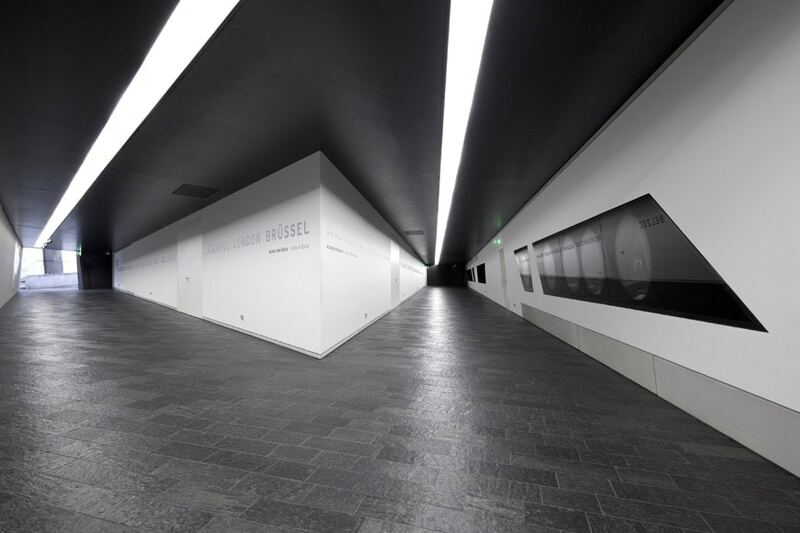 The “Axis of Continuity, leading to the exhibition galleries, symbolizes the continuum of history. The “Axis of Emigration”, representing those who were forced to leave Germany, leads both to daylight and to the Garden of Exile and Emigration, where a matrix of concrete boxes contains a series of willow oaks. Every box is tilted 12°degrees from the vertical, recreating the sense of disorientation and instability felt by the exiled. The third axis leads to a dark dead-end where the Holocaust tower lies; along the path are glass cases containing objects that belonged to some of the persons killed by the Nazis. These three divergent axes intersect; thus expressing the connection between these three different stories of the German Jews.